Tough, compact and stylish, the Motorola TLKR T50 is the ideal companion for outdoor activities, providing a free way to keep in touch at a range of up to six kilometres. The Motorola TLKR T50 ships with a carrying loop and belt clip, and the radios also feature an LCD screen for displaying important information such as channel selection and battery status. You can choose between five different call tones, and there are keypad tones and roger beep alerts. 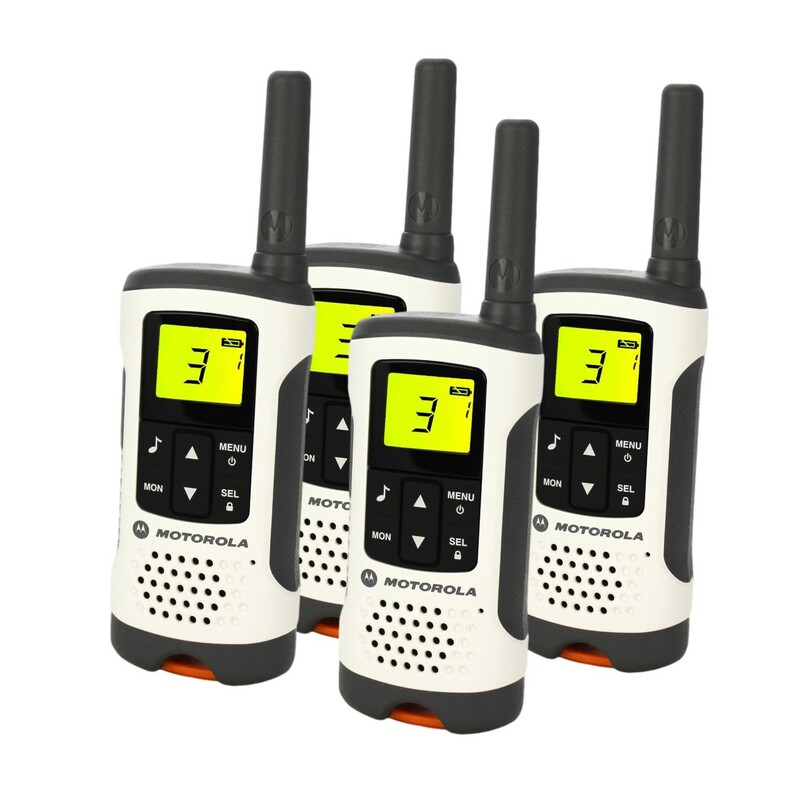 The Motorola TLKR T50 is a convenient solution for keeping in touch during outdoor activities such as camping or hiking.